I’ve never been one of those persons who love babies, drool over them and want to hold every baby on sight. To be honest, I never cared about babies and I had only held a baby once before having my own (that baby was my friend’s and she started crying as soon as I touched her). However, I’ve always thought that baby clothes are impossibly cute. That is, until I came to China and witnessed their baby clothes… It’s time for another one of my “OMG what were they thinking?” lists! Absolutely every western person who comes to China and sees this finds it hilarious. Traditionally, babies in China are potty trained very early: their caregivers (normally their grandmas) hold them in a squatting position and whistle, and babies learn to pee and poo when they hear that whistle. Because of this, they stop wearing diapers quite young and, to facilitate a fast positioning and evacuation of number 1s and 2s, they wear pants that are open in the crotch and leave their privates exposed for everyone to see. I had warned my MIL that there was no way in hell my baby was going to wear split pants, so when she brought a bag of second hand clothes from C.’s cousin’s baby, I picked out all the split pants. Later my MIL bought some pants in a Chinese store and they are not split, but I can see that the sewing in the crotch is different and simpler than the sides so you can easily cut it open if you want. This way the pants become split but the “hole” is not big and round like the one in the picture so it’s more discreet. As I’ve mentioned several times in this blog, Chinese people believe cold is the number 1 cause of death. Cold, that silent killer! Babies are especially vulnerable because, well, they are small (never mind that babies are actually little furnaces). So they have to wear clothes upon clothes until they cannot even move and their little cheeks are bright red because they are boiling inside. Also, even if it isn’t cold outside yet, if the lunar calendar says autumn has started, then you have to start layering up. 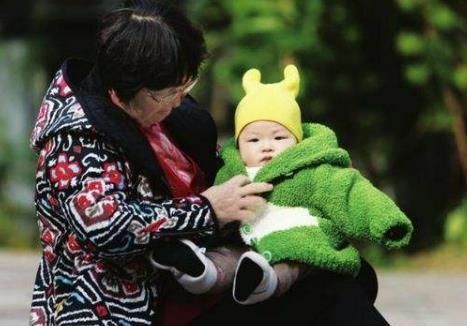 This is what Chinese babies wear when it is 30ºC. This is related to the previous point. Because babies and children are forced to wear so many layers of clothes, they often sweat a lot. Enter the back bib! It is a piece of cloth that is placed on the child’s upper back, between the skin and the clothes, to absorb sweat. It even has a cute end that sticks out. Why remove an obviously not needed layer of clothing when you can use a back bib?! These ones are mostly fine, I guess, and I suppose they are comfy and convenient because there is no need to worry about laces. 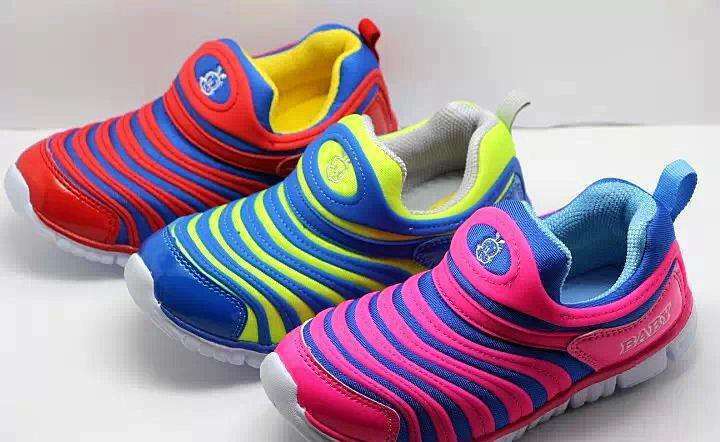 But they annoy me anyway because absolutely every child in China owns a pair of these shoes!! They are everywhere!! It’s like a caterpillar plague!! These are similar to some of the ones Baby A. got. What do you think of these baby items? 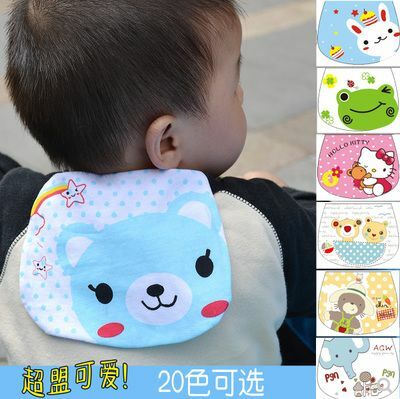 Is there any particular baby fashion trend in your country? More posts about clothes and fashion in China here. These are hilarious, Marta! Especially the split pants – I thought they were just broken pants at first! And back bibs… who would’ve thought! I can never understand this! It’s even worse, to me those poor babies look like they have cancer!! Oh yeah I agree with all of them except the shoes, never seen them before but I guess I am each year for just too short time there to notice. I had to go to Shenzhen at the beginning of this month and took the baby with me. Shenzhen is very down south as you know and it was hot. Well guess what some lady told me in the subway: babies need to have their head covered! Ha, those split pants are so unique to China. Seeing babies run around with their butts exposed look cute but it’s kind of awkward when they have holes in front too. It’s absurd but funny how much they wrap up babies too. Haha, yeah, that’s so true. They’re always running around outside so if they sit down, they’d get dirty. Your grandma sounds very protective, almost like a Chinese one, ha. My grandmother would tell me to change my clothes when I came home since outside was “dirty”. I always love reading your insight on a foreigner’s perspective on some of China’s hilarious customs. Since I’ve been living in the States since I was 4, I can relate to both sides! The split pants are pretty ingenious, I think, but definitely not something that non-Chinese people are used to seeing. It is also a bit odd to see kids’ (mostly boys) private parts out in the open. My mom is definitely a believer of the silent killer, cold. I guess it’s better to be a little bit warmer than cold, but Chinese people definitely tend to over-do it. The back bib is hilarious! I’ve never heard of that before. It seems they have devised a solution to the overheating babies and all of their sweat. The exposed little jijis (小鸡鸡 hehe) or butts don’t really bother me, but I just think it’s wrong having it all out in the open when they are going to sit on things or on the ground! Plus, in the winter it must be cold!! Truth be told, young urban Chinese don’t choose split pants for their children anymore, it’s something done by grandmas mostly. They are also the ones teaching the baby to pee and poo on command. Split pants could save you a lot of money on diapers. Or cost you a lot of money in rug replacement/ cleaning. I’d rather spend the money on diapers, haha. Just yesterday I bought some cloth ones, I want to try them! I’ll try to do half and half, and also do some research about elimination communication so I can stop using diapers sooner! Maybe the shaved heads also have something to do with lice. I’ve never heard of the back bibs. Are they historical or a new invention? I think the split pants go back centuries. Right? Do the babies with the split pants usually poo and pee in an appropriate place? I think I remember my husband telling me about seeing babies peeing in the dirt. Well. Where they pee or poo depends on the caregiver… and sometimes they just squat and do it, no matter where they are… including buses and subways! The split pants thing. UGH. I’ve heard about parents holding their kids over trash cans while they do their business. I find it appalling how ‘open’ they are about human waste, doing your business and so on in public. It must be quite the sight to see. The gold. Heh, heh, heh. I definitely see toddlers in Cambodia and here wearing heavy gold necklaces or wearing those ‘blessing bracelets’ they got from a monk. Then ironically, they’d put that same kid on a motorbike in their mother’s arms with no helmet or protection whatsoever. It’s a strange strange world out there. YES, the trash can pee is a classic. Better than doing it on the floor, I guess? The funniest is when they do it next to a toilet because “toilets are dirty”. Omg, the onion thing and back bib…. why…!?!!? Do babies ever die from being too hot? And the gold! You should bling out your baby, put some glasses on, make him look balla! All jokes aside, I do remember my Vietnamese family giving gold to babies. Must be chinese custom that still lingers in Vietnam! Very interesting post. Didn’t know about the catepillar shoes! Must be a new trend? Loved this post Marta. Didn’t know about the whistling though. Learnt something else today about the Chinese. And as for back bibs!!!!! You have never seen a grandma holding a baby over a trash can and whistling? You are lucky, haha! Yes, I was aware of the pee-pee hole but not aware of the bum hole for baby’s clothing. I learned of it from immigrant relatives with 2 young boys. I suspect shaving of hair also reduced problems…of lice in hair…at least in old China. You’ve seen those wooden /plastic lice combs? In Canada, no way my parents could have afforded nor want to deck out a baby in a gold whatever jewellery. Yes hehe, sometimes you need to see how other people do things to reconsider if your way is the best one. Hmmm…it was a long ago, lice combs more in rural areas. I’ve seen the plastic wooden ones. Did you decide if the designer baby grow on IG were pj’s or outside clothes? I’m going with street clothes! Oh that’s for sure, when they are not wearing diapers, haha. Squat and go! Haha… this is a funny post mate.. keep em’ coming!